CAA welcomes Julie Knopp to our board of directors. (Perhaps you’ve already met her through Wholesome Minnesota, Twin Cities VegFest, or another space!) Read on to learn more about her and how she got involved with CAA and working for the animals. I am a passionate social justice advocate living in Minneapolis. I currently work as an elementary school teacher in Richfield. I’m part of a Spanish-English dual immersion program that works to help our diverse student body become fully bilingual and biliterate. Before that, I founded a nonprofit called City Stay, which invites Minnesota high school students of all colors and creeds to live with self-identified Minnesota immigrant families. 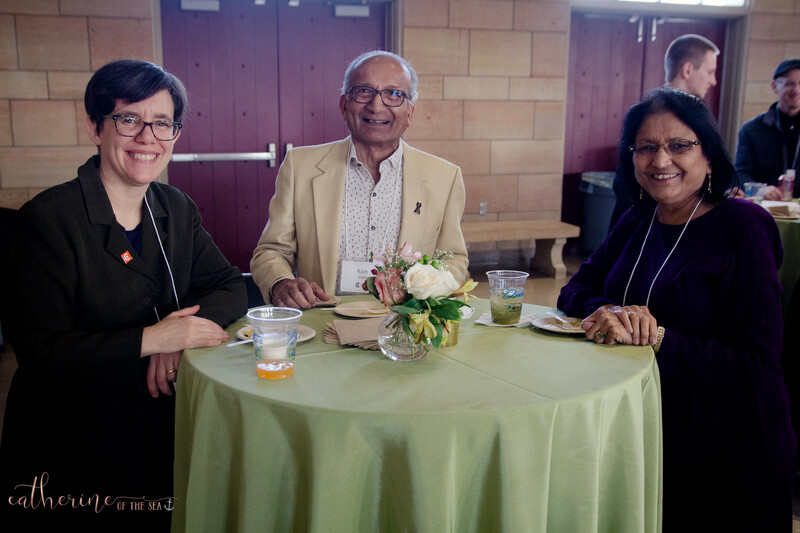 The goal of this two-way experiential learning program is to break down barriers between neighbors of different cultures and increase equity in Minnesota. All of my work has focused on equity, education, and cultural inclusion. When did your journey to being vegan begin and where has it led you? I became a vegetarian about 17 years ago after doing a project on the meat industry as a freshman in high school. I was inspired by the idea that I could take a stance against violence and animal suffering three times a day, every day, simply by cutting meat out of my diet. Then I became vegan about four years ago. I was living with a roommate who had a dog named Misty who I really connected with. Misty was incredibly perceptive, athletic, and smart. It would only take a couple of hours to teach her complex tricks, like retrieving drinks from the fridge or cleaning up her toys. My relationship with her forced me to consider what we might not know about the intellectual and emotional lives of animals and about their capacity to suffer. I knew that so many animals like Misty were living lives of complete misery on factory farms and that going vegan was one way to take a stance against that violence. As a starting point, I read classic books in the movement, like Animal Liberation and The Sexual Politics of Meat. Later I stumbled upon a CAA “Cookies and Conversation” event online related to intersectionality. I decided to attend because I was interested in learning more about how my interest in social justice might connect with my increased interest in animal advocacy. I was amazed as I learned more about how relevant animal advocacy was to so many other issues I cared about: gender and racial equity, climate change, etc. Since then, I have been more active in the movement, taking on a range of roles at CAA including Leafleting Coordinator, Wholesome Minnesota Program Coordinator, Twin Cities VegFest Committee Member, and now a board member. 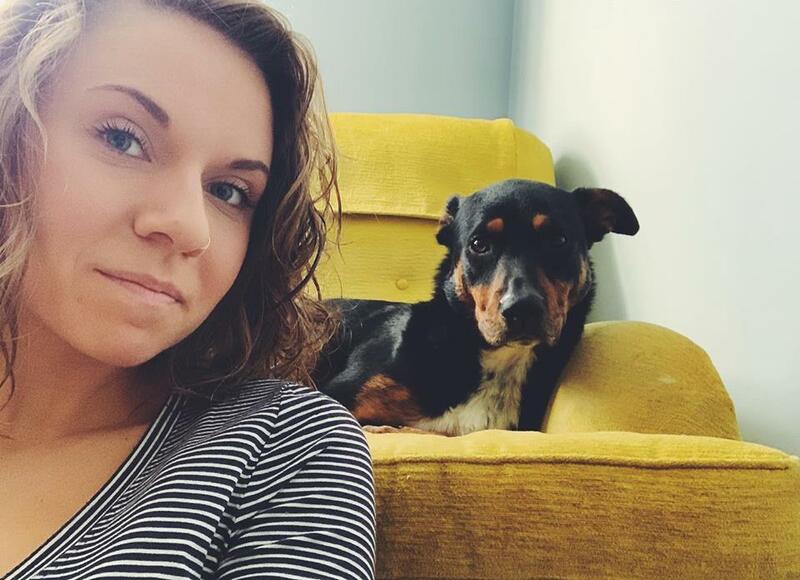 I also continue to be motivated by my relationships with companion animals and have volunteered with SecondHand Hounds for several years and have worked for Animal Humane Society. When you’re not working with CAA, what are you doing? I enjoy spending time with family and furry friends. I have a 14-year-old cat named Waffle Cone who I’m hopelessly in love with, and I foster other animals when my schedule allows. I also love to cook plant-based foods and travel. My most recent trips were to Japan and Iceland. 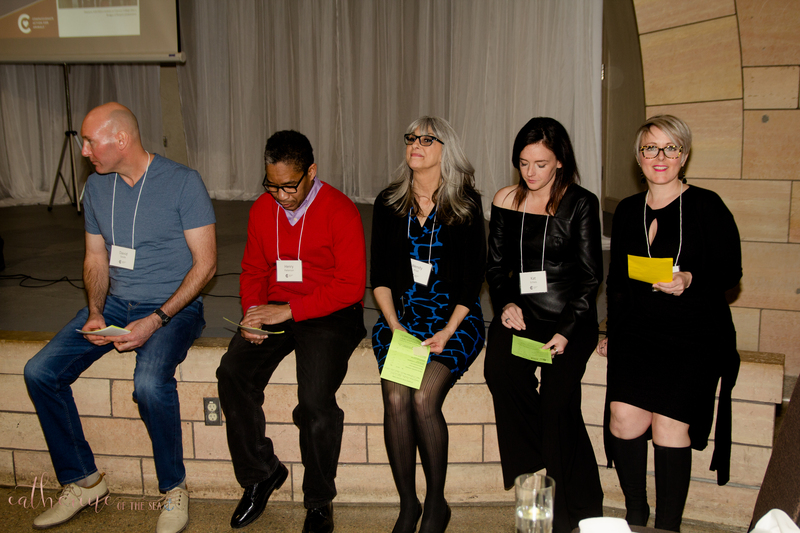 As a new board member, what is your vision for the organization? I am excited to be a part of CAA’s continued growth. My vision is for a bigger and more diverse community of animal advocates in the Twin Cities. As we work towards increased funding and staffing, I believe we will be able to reach more people with our inclusive and welcoming approach to animal advocacy. Another part of my vision for CAA’s future pertains to institutional change. 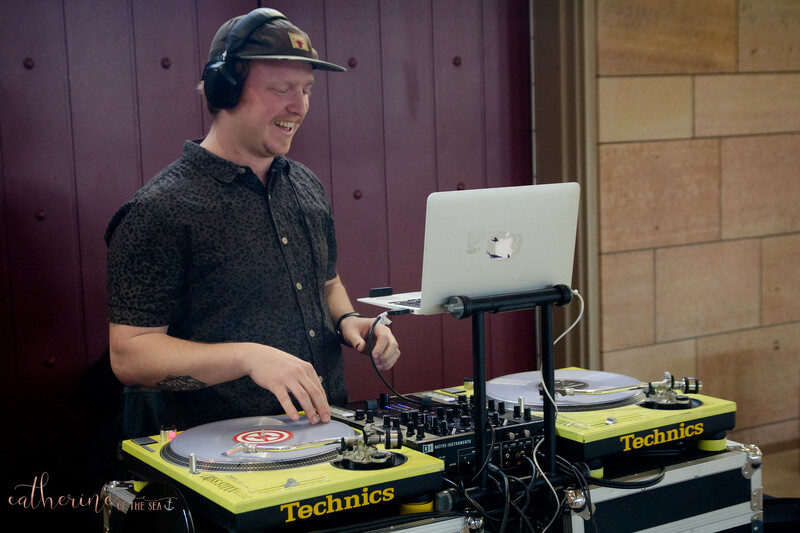 I’ve been a part of launching CAA’s Wholesome Minnesota program, which supports institutions like schools and hospitals in providing more plant-based dining options. 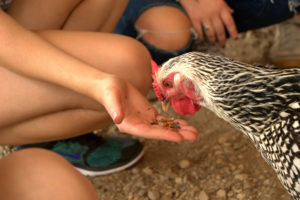 I am excited about this new chapter for CAA, which involves a strategic pairing of both consumer-based change and institutional change efforts in working towards a kinder world for animals. The photos are here! 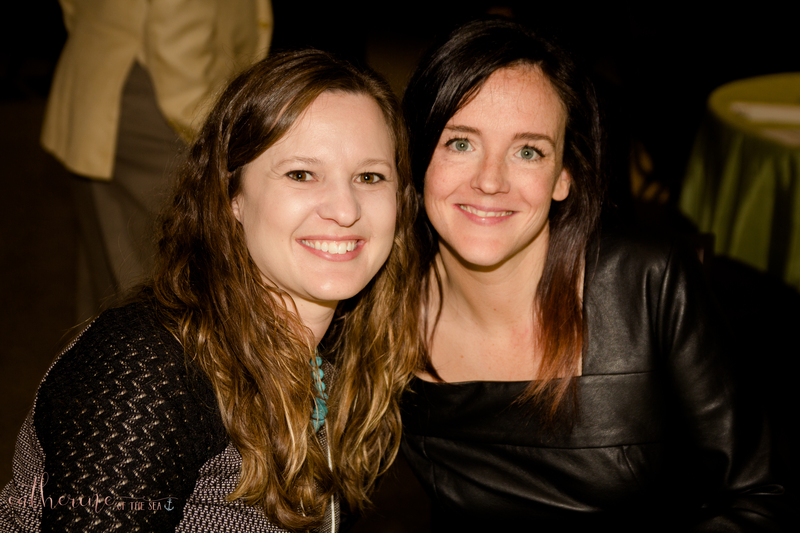 We had such a great time celebrating our 21st anniversary of working for the animals in March. 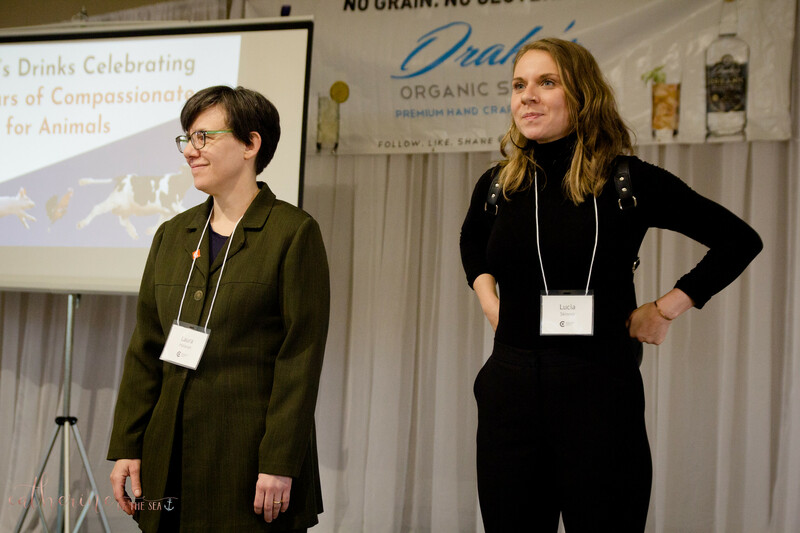 Thank you to all who came to celebrate with us and to Drake’s Organic Spirits for sponsoring the event! 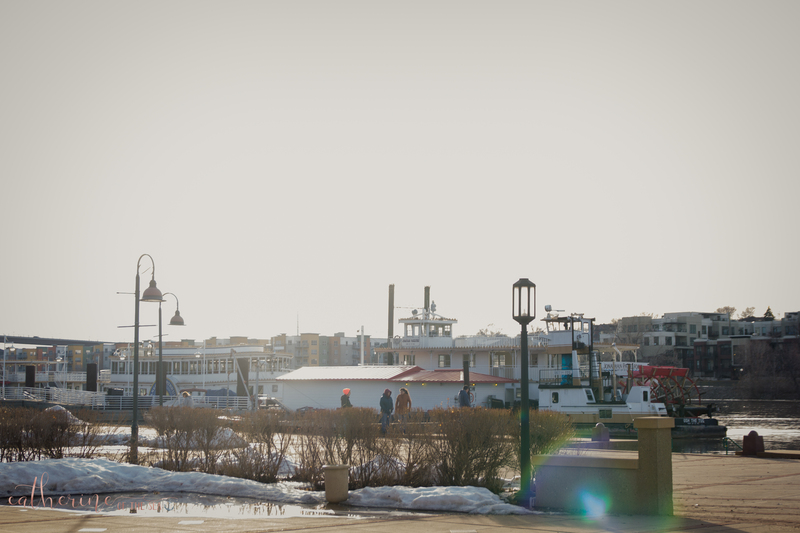 We were able to be in the Clarence W. Wigington Pavilion the day before the great melt flooded Harriet Island Park. Together we raised over $10,000 that night, which will support our work to help animals through both institutional and individual action. Speaking of action and impact, Bridges of Respect is celebrating its 20th anniversary this year. Volunteer Shannon Kimball presented on the impact the program has had on both students and teachers. 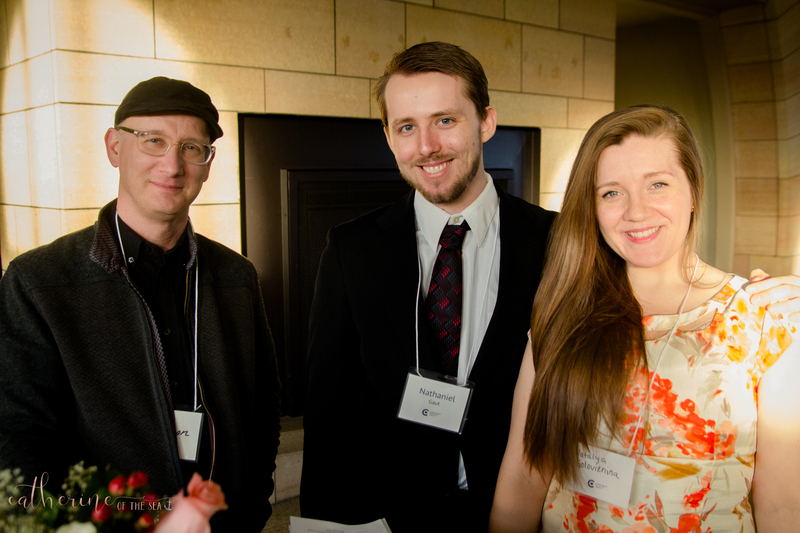 An attendee at the banquet, Max, then came up Shannon after the presentation and shared that he had been vegetarian two years ago when he was studying at Century College and heard Shannon present for Bridges of Respect. “That presentation was it for me–I’ve been vegan since, ” said Max. 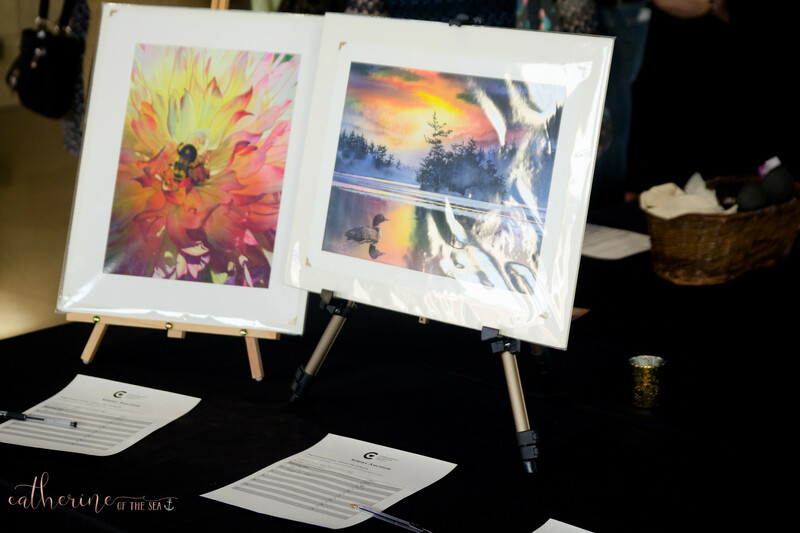 Many thanks to the individual and business contributions to our silent auction this year, Rae Hermeier and Julie Knopp for sharing their CAA stories, our Banquet Planning Committee and volunteers who made this event possible, as well as Gorkha Palace, and Vegan East for supporting the event and making sure everything was delicious! 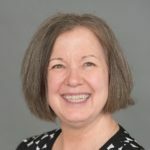 Volunteer Shoutout: Meet Theresa Zingery! 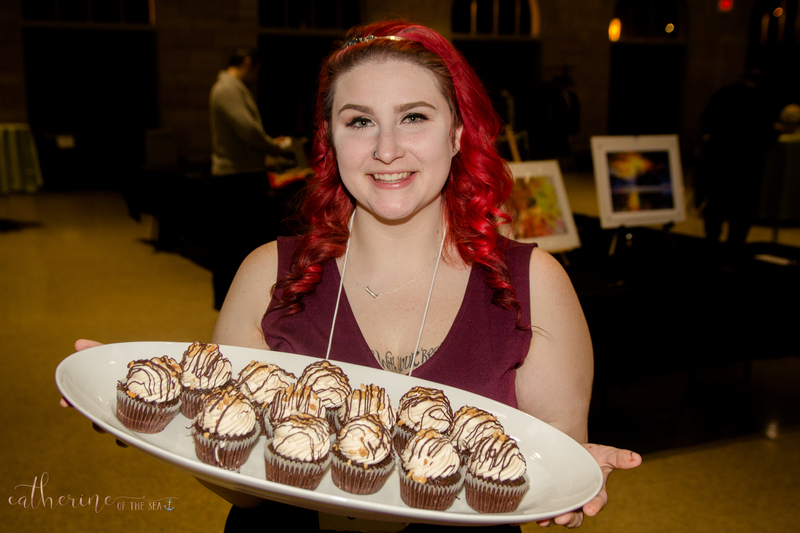 Theresa has been an active volunteer with CAA for several years, volunteering at potlucks, Twin Cities Veg Fest, video outreach, the Chili Cook-Off, and more, and has been a member of the CAA Board of Directors since 2017. She believes that education is the key to changing the world. Read on to learn more about Theresa in this week’s Volunteer Shoutout! What drew you personally to veganism? What are three tips you share with folks who would like to go veg? I feel that it is important to find what works for you. Some people are not able to completely switch over at once and need to be incremental and some need to do it fully right away (I was that way). But there is no one approach that works. Find a support system—go to vegan meetups, etc. How did you get involved with CAA? I went to an tea and cookie event with discussions of vegan issues/support. Then I volunteered to do Pay Per view at Cinco de Mayo. Do you have a favorite CAA event? I like doing the Virtual Reality events as it can have such a strong impact on those who participate! And all the social events/potlucks! Outside of volunteering with CAA and serving on our board, how do you spend your time/what are you doing? I have a very demanding job that keeps me busy as the manager of adult programming for Anoka Hennepin schools. Outside of work I like to participate in the Svaroopa Yoga community and the social justice community at First Unitarian society. I like reading, walking, eating out with my husband and petting my cats! When did you start practicing laughter yoga and how has it impacted your life? When I turned 55 I decided to give myself a gift of learning a new skill that I could offer to other people as a benefit. I participated in a Laugter Yoga session and thought it was fun and healing and heard about a training to be a facilitator. That weekend seminar was my gift to myself and since then I only do it a few times a year as a benefit to various non profits to help them with fundraising auctions or just as a service to their members. I enjoying bringing joy to others. This spring I will be doing one of them for my Community Education department and one with our Adults with Disabilities program—outside! Looking forward to the new challenge. Feeding toddlers and preschoolers can be fun, but sometimes frustrating! At one year old, their growth rate slows and their food intake decreases. Yet, these early years are a critical time to form healthy eating habits for life. 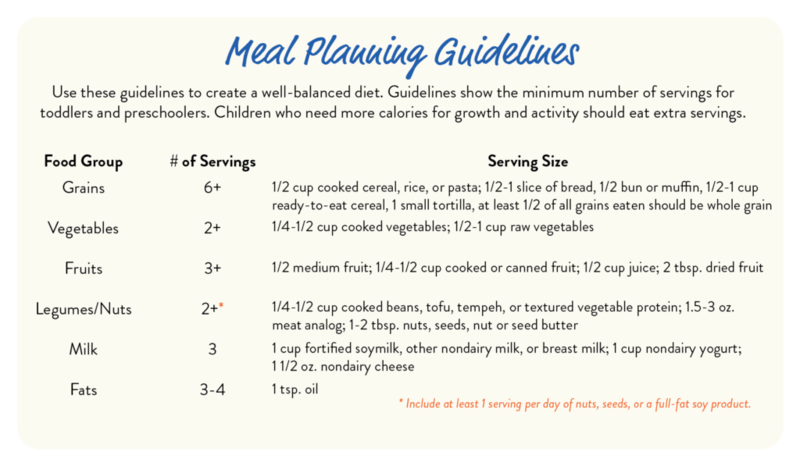 A balanced vegan meal plan can meet the nutritional needs of children at every stage of development. With young children, it is important to meet calorie needs for growth. A balanced plant-based meal plan is naturally high in fiber from fruits, veggies, grains, and legumes. Sometimes fiber can be too filling to a tiny tummy resulting in a low calorie intake. If needed, fiber can be reduced by peeling fruits and veggies, including some refined grain products, and replacing a fruit serving with 4 oz 100% juice. To increase calories if needed, add in nut butter, dried fruits, hummus, avocado, and vegetable oil spreads. Most preschoolers need three meals and three snacks each day. Be a good role model: eat a variety of healthy foods without negative comments. Include children in grocery shopping, cooking, and mealtime activities. For example, they can choose a fruit and vegetable at the store, stir the ingredients in a bowl, or help set the table. Offer a variety of foods over and over again: it can take 10+ episodes of a certain food appearing on the plate for a toddler to decide whether to touch, sniff, or taste it. Keep trying. Keep it fun with many colors, textures, and shapes, include some finger foods, dips, and spreads. 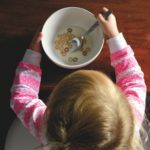 General rule: the child chooses yes/no, and how much at meal time. Allow a preschooler to choose their portion. Do not force food to be eaten or use food as a reward. All food should be eaten at the table including snacks. Exploring new foods is fun, but be sure to exercise common sense caution during mealtime and remember little ones have an increased choking risk. They have fewer teeth, lower chew/swallow skills, and often eat quickly! 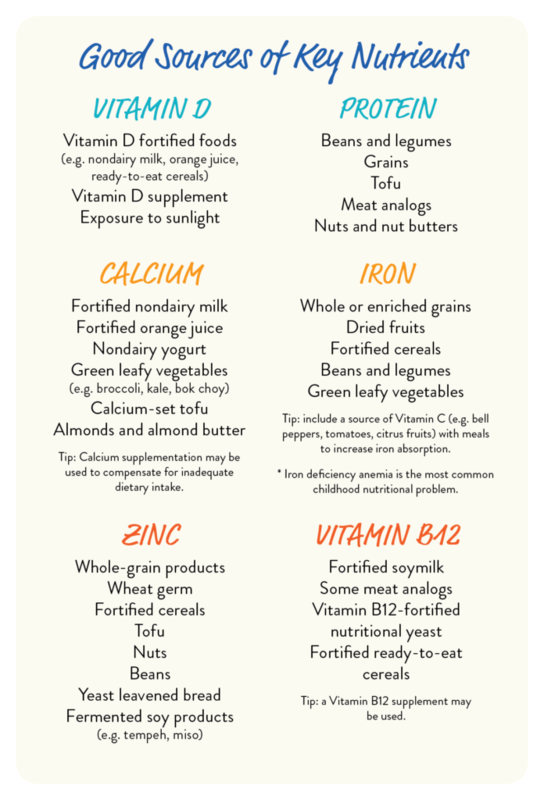 Information, including charts, adapted from Vegetarian Nutrition Resource (dietetic practice group of the AND). Please note: This information, while accurate, does not provide an all-inclusive feeding plan and is not intended to substitute personal medical advice. It is intended to offer guidance only. We recommend working with a registered dietitian to help meet any specific questions you may have. Suzy Sorensen is a Twin Cities-based Registered Dietitian and Certified Diabetes Educator who is passionate about plant-based eating! She has a Certificate of Training in Vegetarian Nutrition from the Academy of Nutrition and Dietetics and opened Move2Veg Nutrition Counseling in 2009 to support those interested in plant-based eating. For more information, visit move2veg.com. 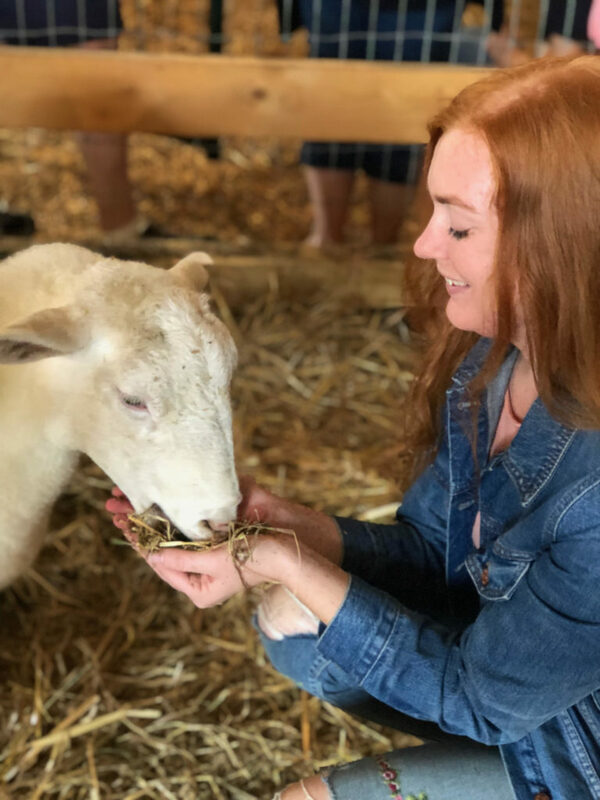 In advance of our trip to Little Acorn Sanctuary, we asked Northfield-based vegan Erica Hoops about vegan eats in the small Minnesotan town. Read on to get their scoop on what you can try next time you find yourself an hour directly south of the cities! 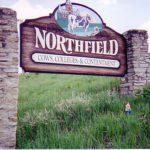 Being vegan in a small rural town can be quite a struggle, but in Northfield, Minnesota, there are many tasty options! Aside from the well known fast food options, like Taco Bell, Subway, and Domino’s, there are several small businesses with diverse palettes to make your next weekend trip to Northfield a tasty one. El Triunfo, a Mexican restaurant with eat in and take out options, is a Northfield favorite. Items on their menu like beans and rice, burritos, and tacos can be veganized! All you have to do is ask for a burrito or taco to be “vegan” or ask for the beans and rice with no cheese. They also have amazing guacamole (though this item isn’t always available, so be sure to ask). Perhaps the most important note about El Triunfo is their green sauce; it’s vegan, it’s spicy, and the first serving is free. Tanzenwald Brewing Company brews their beers on site and has a German inspired menu that can be veganized very easily! Any of their brats and burgers can be swapped with the vegan patty or vegan dog. They have plenty of pickled and fresh veggie toppings to add on top, and their buns are also vegan! Vegan sides include chips, waffle fries, tater tots, sweet potato fries, and more potato-based goodness. Aside from their brats and burgers, their Fried Brussel Sprouts are amazing, but be sure to the order with walnuts and tell them to leave off the aioli. Tanzenwald recently got rid of their vegan aioli, so their only vegan sauces are ketchup, mustard, and BBQ sauce. Hideaway Coffeehouse is a cafe with a couple of vegan food options. They have a Vegan Wrap that comes with a side of either kale salad or tortilla chips, and they have appetizer of Chips and Pico de Gallo. When it comes to coffee, they have soy and almond milks regularly, and sometimes have vegan baked goods from other local businesses! Tandem Bagels is a bagel shop with build-your-own vegan options. All of their bagels are vegan (except the few with cheese baked into the dough), and their avocado spread, hummus, and black bean spread are all great bases! They also have a variety of fresh veggies to add to your order. Other vegan options include overnight oats (make sure to double check what milk was used––they tend to rotate which kind is used), special baked goods (noted on blackboard), fruit, and (very occasionally) vegan cream cheese! They also have non-dairy milk for coffee drinks. Chapati is an Indian restaurant with a few vegan options that are clearly noted on their menu. Three main dishes, the Aloo Gobi (cauliflower and potatoes in onion-tomato sauce), the Bindi Masala (Sauteed okra with onion and garlic), and the Chana Masala (chickpeas in onion-tomato sauce) are all vegan! They come with a bowl of rice to share with the table, so one dish is usually enough to feed two people. Their salad appetizer is also vegan, but their naan is not, because they use butter instead of oil. Tokyo Grill is a Japanese restaurant with vegan vegetable rolls and appetizers! They have an avocado roll, an AAC roll (avocado, asparagus, and cucumber), the Mr. Peanut roll (avocado and peanuts), a mixed veggie roll, a veggie tempura roll, and a sweet potato roll. Their tempura batter doesn’t include eggs (I’ve asked), so their vegetable tempura appetizer is vegan. Their Agedashi Tofu (ask for no bonito), Edamame, Seaweed Salad, and Rice are also vegan. Their miso soup might be vegan, but when I asked last, they weren’t sure, so proceed with caution. Other restaurants like Applebee’s and Fielder’s Choice have options that can be veganized, but some vegans in Northfield have had troubles getting straight forward dietary information from those establishments. Not feeling any of the options outlined above? Check out the Just Food Coop in town! They have a soup and salad bar during lunch time, other ready-made options, plenty of microwavable vegan meals, as well as some vegan cheezes, spreads, and fruits. 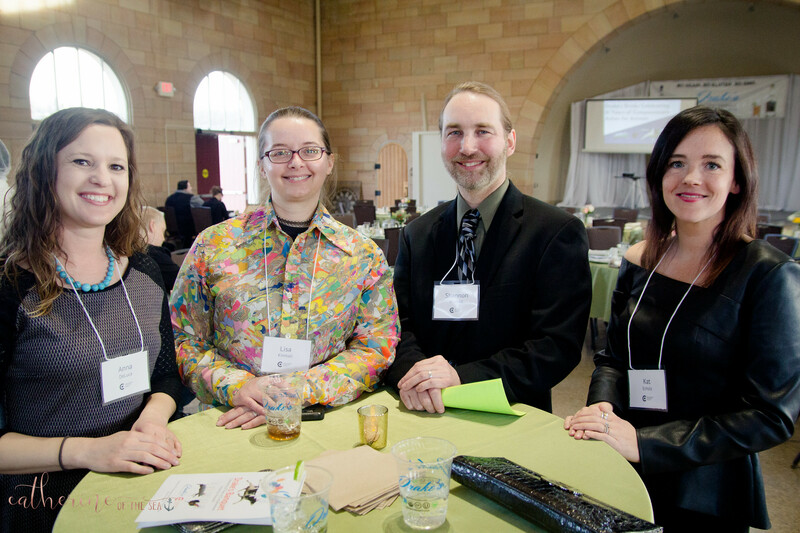 Meet the team behind our 21st Annual Banquet! We want to extend a big thanks to this year’s banquet planning committee! 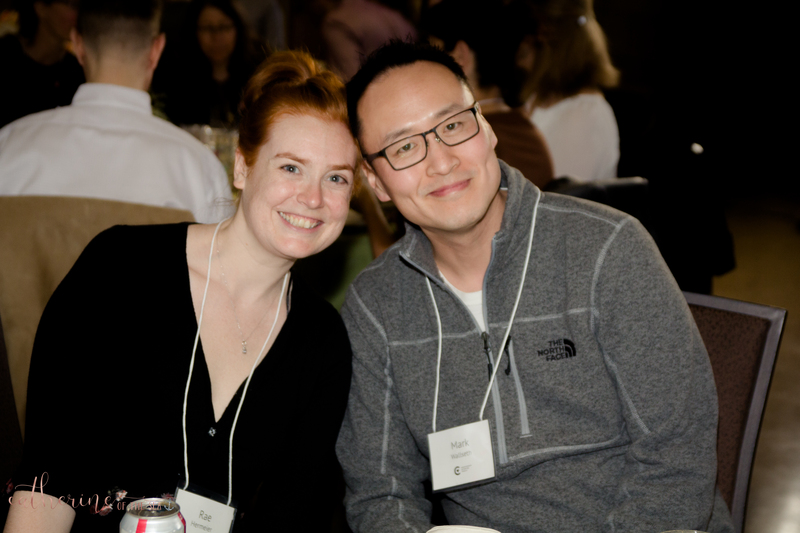 This year’s committee included Rae Hermeier, Lucia Skinner de Gregorio, Abraham Rowe, Henry Patterson, and Phil Martens, who worked closely with Executive Director Laura Matanah to organize this event which raised over $10,000 to support our work for the animals! We connected with Abraham, Lucia, and Rae before the banquet to learn a bit more about what they worked on while planning the banquet, what they were most looking forward to, and more! What drew you personally to veganism? In my studies—which revolved around gender, feminism, and sexuality—I explored the nature of hierarchies. The idea really resonated with me that the foundation upon which hierarchies are altogether built is the idea that the human species is inherently more valuable than any and all other life. It so happened that as I was exploring this realization, I was diving deeper into the intricacies of intimacy as they evolve in one’s relationship to an animal companion, my dog Mona. It became quickly apparent to me that I could no longer reconcile my authentic and wholehearted love for her with my consumption of and disrespect for other nonhuman life. The peace of mind that follows taking the steps toward a more compassionate life is a beautiful thing. I’ve been meat-free for 2 years and vegan for a year and a half, and have never looked back. How did you get involved with CAA and what was your first CAA event? I was friends with Abraham Rowe, then-president of the Board, and he graciously extended the invitation to me to acquaint myself with CAA and its mission. I attended a retreat for the Board to get to know its members, and it was a wonderful fit! I am fortunate and grateful to be a part of this community. What is your role on the Banquet Planning Committee? I assisting with atmosphere and logistics planning. I’m focusing on ensuring the space is a visually and acoustically warm and inviting one. What has been your favorite event to organize with CAA so far? This is my first! 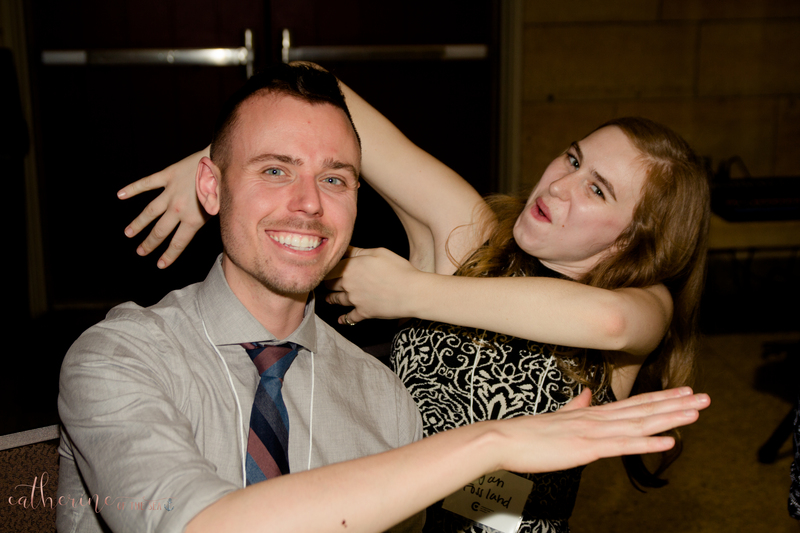 What are you looking forward to most at this year’s banquet? The community—being in a room full of folks who are passionate about inclusion, compassion, and justice for all life. Besides volunteering with CAA, what are you up to these days? Gearing up for summertime! Particularly getting excited to spend more substantial time adventuring with wonder-dog Mona. What drew you personally to veganism? Initially, when I became vegan, it was for health reasons. I was overweight, and a person I follow on YouTube ate a vegan diet 6 days a week to help her stay healthy, so I thought I’d give it a shot. I ended up losing about 60 pounds total over a couple of years! During that time, I was eating plant-based during the week, and eating animal products on the weekends. But as I researched recipes and vegan videos on YouTube, I started coming across videos on animal welfare. I remember specifically watching one called “Farm to Fridge” and I remember being so horrified at the treatment of the animals (especially the pigs really got to me), that I decided I couldn’t ever eat animal products again. I already didn’t have any animal products at home, I only ate them when I went out to eat, so it was actually a fairly simple transition for me. How did you get involved with CAA and what was your first CAA event? The first CAA event I actually attended was the Annual Banquet in 2018, so I guess this is my one year anniversary! After that, I started getting involved with volunteering and attending more events and I’ve just fallen in love with the community and the organization. What is your role on the Banquet Planning Committee? I’m coordinating the volunteers for the banquet. I really enjoy being able to connect with other CAA volunteers, so heading up the coordination of the volunteers is perfect for me. What has been your favorite event to organize with CAA so far? I think my favorite event to organize has been this one — I feel a bit more familiar with the tech and the process this time around. My favorite event to attend/volunteer at was Twin Cities VegFest last year. What are you looking forward to most at this year’s banquet? I’m most looking forward to the presentation. I missed it last year because we had to leave early to get to another event. Besides volunteering with CAA, what are you up to these days? For work, I run a group home for people with intellectual disabilities and mental health disorders. I also teach CPR/AED/1st Aid courses for the American Red Cross. In my spare time, I enjoy backpacking, camping, hiking, playing video games, reading, and cooking up tasty vegan food. What drew you personally to veganism? 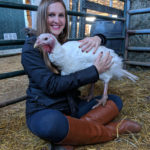 I think for me, while I’d been interested in veganism long before this, I worked at a farm sanctuary during the school year and summer in college, and realized how amazing so many animals are! 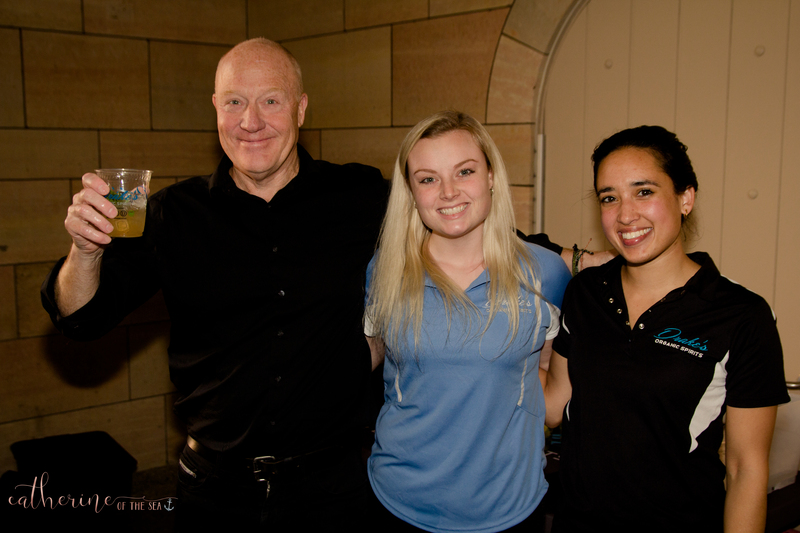 How did you get involved with CAA (and what was your first CAA event)? I’m not sure honestly! I think a potluck or dine out? What is your role on the Banquet Planning Committee? I’ve been getting auction items to make sure that there are awesome things for our guests to see! 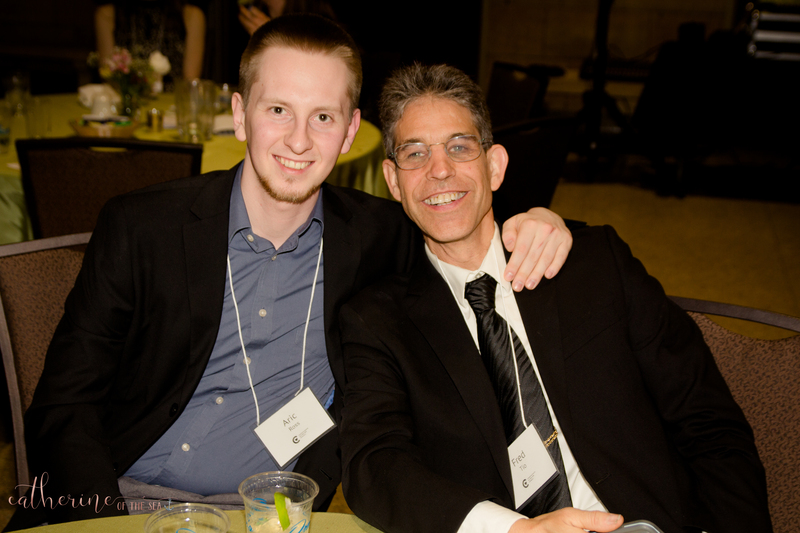 What has been your favorite event to organize with CAA so far? I always lov eTwin Cities Veg Fest! I love how many people it brings in from outside the community, and how many different vendors, organizations, and people it brings together. What are you looking forward to most at this year’s banquet? I’m always excited for the food! Besides volunteering with CAA, what are you up to these days? I moved to New York and am working on new animal advocacy projects here! But I miss Minnesota dearly and am excited to be back for the banquet! We were so fortunate to be in the space at Harriet Island before the great melt took it over—here’s what the Clarence W. Wigington Pavilion looks like now, just a week after our banquet! Big thanks again to Rae, Abraham, Lucia, Henry, Phil, and Laura for your work to plan another fun banquet! Thanks for taking the Twin Cities VegPledge! 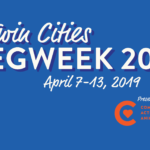 Closer to the start of Twin Cities VegWeek 2019, you will receive an email containing a link to download your VegPledge card that can be used to receive discounts at vegan businesses in the Twin Cities, April 7-13, 2019. You can also pick up a printed VegPledge card at our 2019 Vegan Pancake Potluck on Saturday, April 6. More info about these events can be found here. Also, be on the lookout for an email from us every day of Twin Cities VegWeek. We’ll have lots of fun tips to motivate you to keep your pledge. We hope you’re excited to have an awesome VegPledge experience! Please let us know if you have any questions along the way! Twin Cities Veg Living Issue 5 is Here! Minneapolis was named the City of the Year in Veg News’ 2018 Veggie Awards and it’s no wonder––the Twin Cities compassionate community has experienced tremendous growth over the past few years. Want to learn about the health benefits of a plant-based diet? 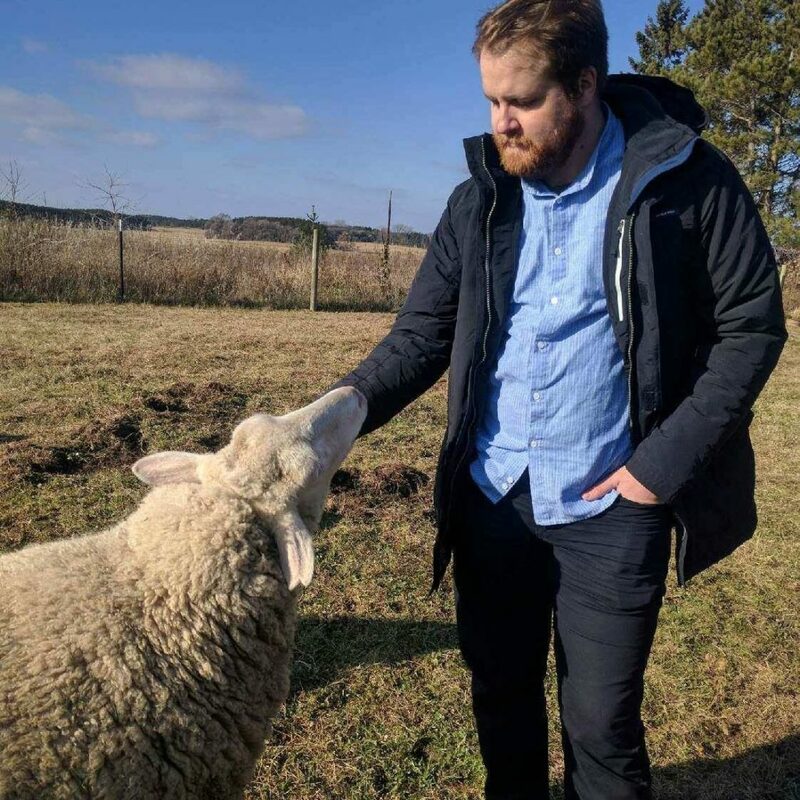 How to get a mentor to support you while going veg? The work sanctuaries around the Twin Cities are doing? Learn about many of the all-vegan businesses that opened and the businesses that went vegan in 2018 alone? 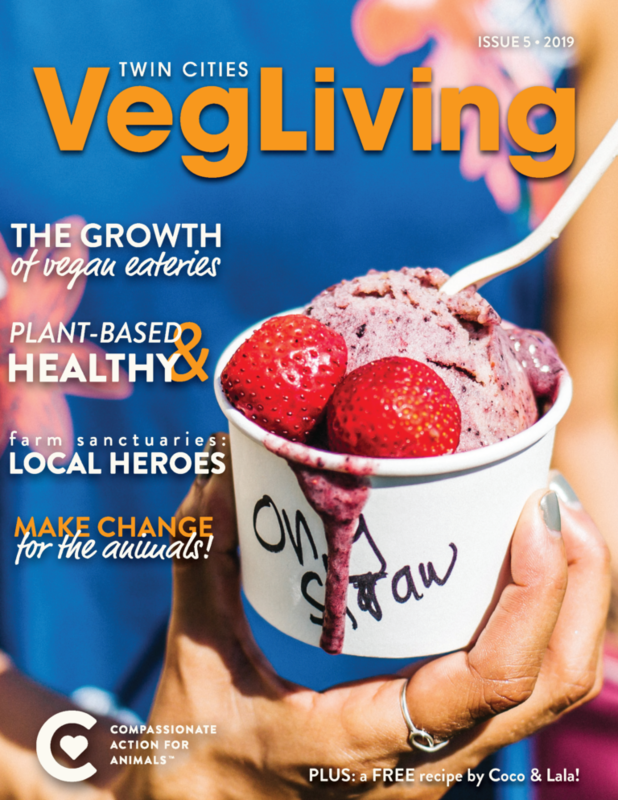 We’ve got the scoop on all of this and more for you in the new issue of Twin Cities Veg Living, our annual outreach magazine. Read it online or grab a physical copy for yourself and a friend who might be considering going veg at any of our events throughout 2019. If you know of a place that could host some magazines, let us know. We’re happy to get some there, or work with you to distribute them. Join us in making 2019 another Year of the Vegan! We want to extend a huge thank you to the following individuals who wrote, took photos for, edited, and proofread this year’s magazine: Laura Carroll Photography, Jacquelyn Cortopassi, Coco and Lala, Erin Hudson, Emily Kampa, Julie Knopp, Laura Matanah, Marina Nyberg, Carol Ottoson, Suzy Sorensen of Move2Veg Nutrition Counseling, Laura VanZandt, and Theresa Zingery. We’d also like to thank the following vegan businesses and sanctuaries for contributing photos and supporting this issue: Crepe & Spoon, Fig & Farro, The Herbivorous Butcher, Little Acorn Sanctuary, Seed Cafe, Trio Plant-based, and Vegan East. 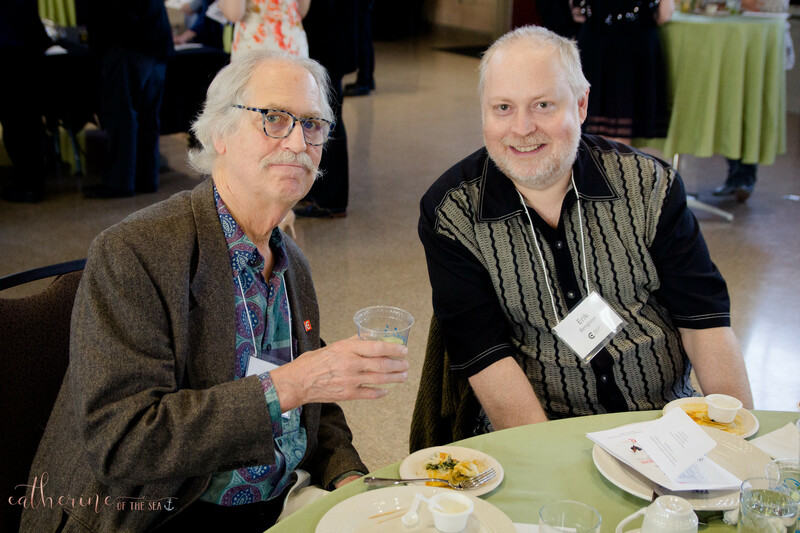 If you want to support the creation and distribution of Twin Cities Veg Living and other CAA outreach tools, please make a donation to CAA today. Update: It has come to our attention that Radical Eats MN was launched in 2018, So Good So You opened a new location in 2018, and that a St. Paul vegan business was re-branded as a bodega in 2018. The owner of the second business, which we have promoted in the past, has asked that we not mention his name or his business again. We are not mentioning his name or his business here out of respect for his wishes. We have worked to resolve concerns related to the magazine with the parties involved and plan to have a board member be part of the magazine’s review process going forward.